File and Printer Sharing is an operating system feature wherein all the computers in your network would be able to send communications to a computer or send print jobs to a printer. All your computers should be part of the main network for File and Printer Sharing to work properly. NOTE: In this scenario, Mac OS X® Mountain Lion 10.8 operating system is used. • File Sharing – This allows easy access and share files and folders on computers that belong to the same network. 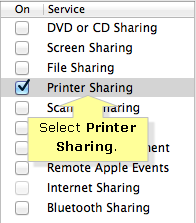 • Printer Sharing – Allows your computers that are part of the main network to send print jobs to a printer connected wired or wirelessly to your computer. NOTE: The information on this article is provided as reference. 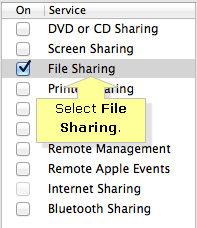 For proper File and Printer Sharing configuration instructions, contact the Apple® support site. IMPORTANT: Before enabling File and Printer Sharing service, ensure that the lock icon located at the bottom left is unlocked. 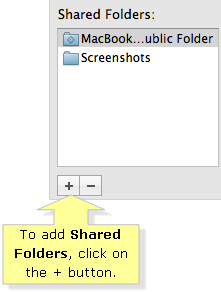 To add Shared Folders, click on the + button. Edit the Users’ access by choosing Read & Write, Read Only or Write Only. NOTE: You can also add new Users by clicking on the + button. 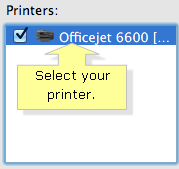 Select the printer you want to share. NOTE: Ensure that your printer is connected to the Mac® computer and you are able to print files. 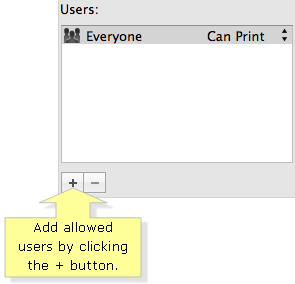 Add allowed users by clicking the + button.